There’s a lot more to the Indianapolis 500 Festival Mini-Marathon than running. UPDATE, Feb. 17, 2013: Private Timothy McCormick’s colleague, 22-year-old specialist Cody Medley, has also died as a result of severe injuries sustained in the Feb. 16 car-ambulance accident downtown that claimed McCormick’s life. A tribute video celebrating their lives was posted to Facebook here. Publicly dedicated in August 2008, Lucas Oil Stadium has stood 49 months strong (“ColtsStrong” to some) for quite some time, really, and yet I just made my virgin voyage to an Indianapolis Colts game this past Sunday. I know, how shabby of me. But in all fairness, tickets had come my way a few times, though I was unable ultimately to use them, to attend, for one reason or another. And I did take in the Evansville F. J. Reitz versus Indianapolis Cathedral high school 5A football final there in 2009, a raucous game between southern Indiana and local Catholic pigskin powerhouses. That was a great time. If you can’t get the city’s visionaries to attend your dinner party, go to theirs instead. Chew on This events are intimate dinners hosted by some of Indy’s biggest thinkers, and anyone can attend for just $20 (food included).  Organized by Indiana Humanities, the events have been taking place—and selling out—for a couple of years, and the next one, Aug. 22, is filling up, too. As a main course, Indiana Humanities is serving up conversation about the Pan Am Games, held 25 years ago this month, a time when the city found itself at a critical crossroad. The table talk will focus on “what we decided to do in that era to bring the city back, what worked, what didn’t, and how we can carry it forward in the post-Super Bowl era,” says Brandon Judkins, programs director for Indiana Humanities. Dust off those old boxes in the attic and try to unearth that favorite childhood item—The Children Museum’s new interactive project, “100 Toys (& their Stories) that Define Our Childhood,” is taking votes from the public to decide which should earn the title of best plaything of the past 100 years.